This type of metal is usually supplied cut to size, some providers have a limited range of sizes. Some, like us, can cut a plaque to whatever size you want. 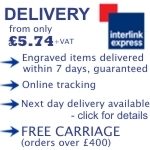 Should you require a backing board, it's probably best to order a stock size, as special customised backing boards can get expensive. Be careful too and ensure you have a polished piece, as buffing up a poorly finished bit of brass can a while, if you have the knowledge!! 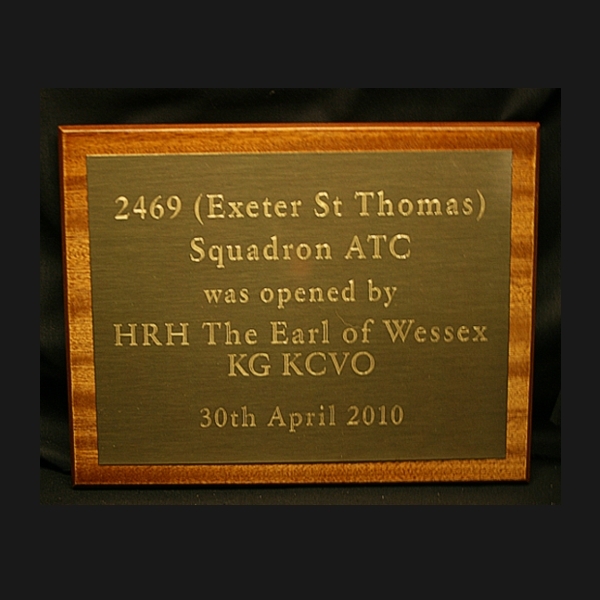 Excessively large sizes over 230mm or 17" can be difficult to engrave, as they won't sit in most engravers' traditional engraving machines. Larger sizes can be laser engraved, but the brass needs to be thicker i.e. at least 1.5mm. Of course, we've just shown you rectangular shapes, but oval and round shapes are also available. As with the 'irregular' rectangular shapes, a backing board for oval and circle shapes could get expensive. 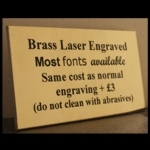 Laser engraved Brass Plaques used outdoors will need regular cleaning with liquid brasso. 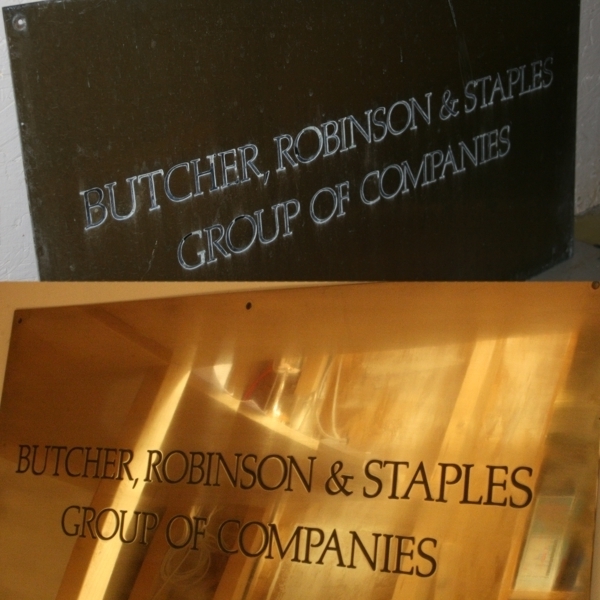 If you let the brass 'blacken', an abrasive cleaner could damage the engraved black letters. 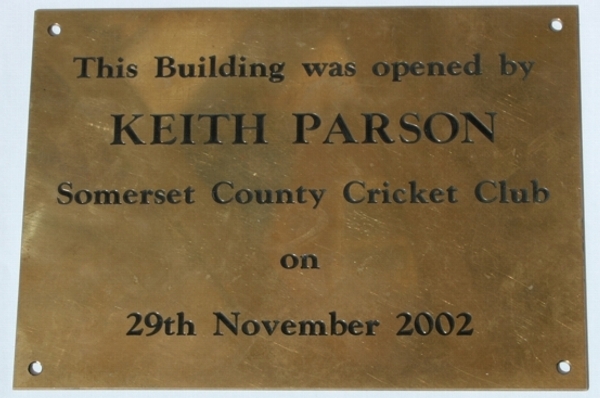 We'd also recommend traditional engraved and paint-filled brass for plaques not mounted vertically, due to less effective rainwater run off.